When we were at last year's International Whisky Festival Peter and I were talking to Thomas and Ansgar Speller, our colleagues from the WhiskySpeller blog, a guy literally bumped in to me, apologised and then recognised us. He introduced himself and a new whiskyfriendship was born. A lot of chats on Facebook later Denny told me he was invited to attend the very first edition of the William Grant & Sons Spiritschool. Wow! Jeroen: How and when did you become a brand ambassador/store consultant for William Grant at the airport? Denny: It was in 2011 when i was hosting a wine tasting in a small restaurant in the Hague. Some ladies complemented me about the products. 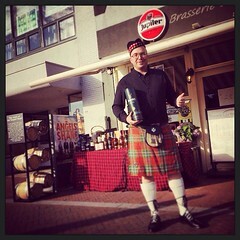 I replied, you should see me talking about single malt whisky, thàts my real passion. The lady was a manager for SAR at Schiphol and so I was asked to be the host of the whiskyfestival in de travel retail shops at Schiphol. After one year I was asked to move to William Grant. I was already involved in whisky trainings for the airport staff. And nowadays I'm in charge of promoting and selling our products. 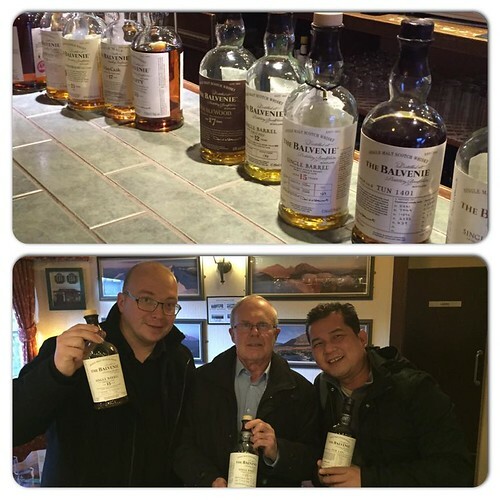 Jeroen: Where did this whisky passion come from? Denny: Well, I am the grandson of a Scottish soldier from WOII and i am very proud of that. I always have had affection with Scotland. Plus I never really liked beer and was immediately in love with the complexity of whisky and spirits. I love this industry and hope I can remain working in it for many years to come. Last week I was invited to attend a training week in Scotland and Ireland for Willam Grants first edition of their spiritschool. A wonderful experience that I will never forget. I met the most amazing people in the industry. Jeroen: Nice to see you brought your family-roots into a hobby and finally to a fantastic job! I'll certainly read your stories about this fantastic trip! Thank you for sharing. If you like to read about Denny's spiritschool adventure as well, click here.